It’s the best-loved Kiehl’s day cream and if its global track record doesn’t show you that, its glow-giving results will do all the talking. 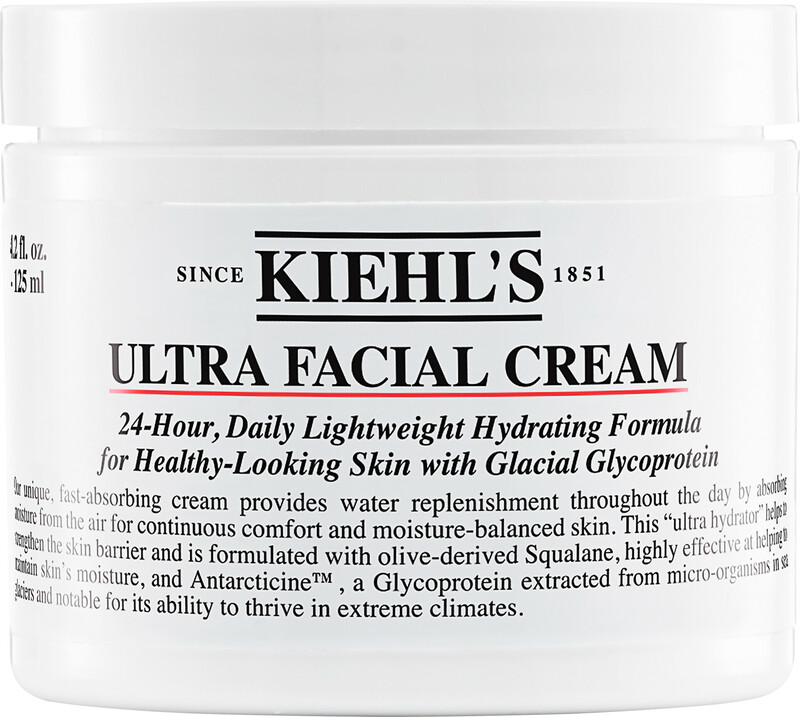 Fun fact: the Ultra Facial Cream was used to protect the team of explorers who embarked upon the first ever ascent of Greenland’s ice covered peaks. If the moisturiser prevailed when up against that cold weather, think about what it can do for your skin! Are you looking for a moisturiser that has SPF benefits? 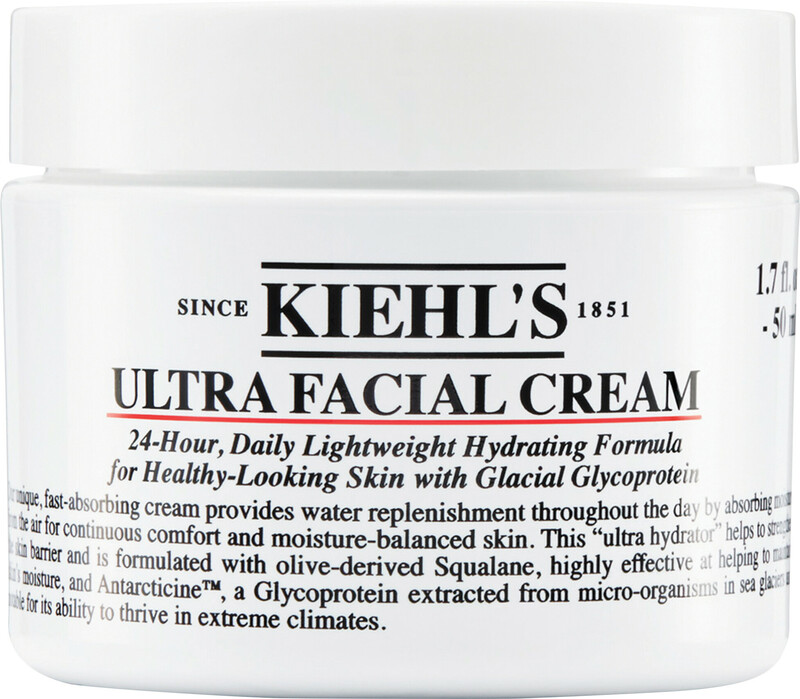 Try the Kiehl's Ultra Facial Cream SPF30 instead; it’s the same best-loved formula, just with added protection. Massage onto your face and neck every morning and/or night - just make sure to apply it to thoroughly cleansed skin. Before applying your cream at night, massage a few drops of the Kiehl’s Midnight Recovery Concentrate into your skin. Its repairing botanical blend will help boost your skin’s health and radiance. AQUA, GLYCERIN, CYCLOHEXASILOXANE, SQUALANE, BIS-PEG-18 METHYL ETHER DIMETHYL SILANE, SUCROSE STEARATE, STEARYL ALCOHOL, PEG-8 STEARATE, UREA, MYRISTYL MYRISTATE, PENTAERYTHRITYL TETRAETHYLHEXANOATE, PRUNUS ARMENIACA KERNEL OIL, PHENOXYETHANOL, PERSEA GRATISSIMA OIL, OLEA EUROPAEA OIL, ORYZA SATIVA BRAN OIL, CETYL ALCOHOL, GLYCERYL STEARATE, IMPERATA CYLINDRICA ROOT EXTRACT, STEARIC ACID, METHYLPARABEN, CHLORPHENESIN, PALMITIC ACID, DISODIUM EDTA, ACRYLATES/C10-30 ALKYL ACRYLATE CROSSPOLYMER, PROPYLPARABEN, CARBOMER, TRIETHANOLAMINE, PRUNUS AMYGDALUS DULCIS OIL, XANTHAN GUM, SODIUM HYDROXIDE, TOCOPHEROL, PSEUDOALTEROMONAS FERMENT EXTRACT, HYDROXYPALMITOYL SPHINGANINE, CAPRYLYL GLYCOL. 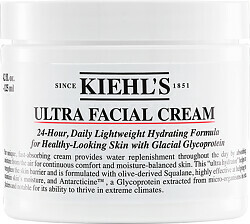 Kiehl's Ultra Facial Cream is rated 5.0 out of 5 by 1. Rated 5 out of 5 by Mazzie10 from Brilliant Have always used another moisturiser but thought i would have a change and chose this. Although a smaller jar it goes a long way and I am really loving it. Impressed how it leaves no residue and skin is really 'plumped' up. Will buy again but hopefully a bigger jar! !